With the proven successful capabilities of the national Presidential Alert system, FEMA's IPAWS is the new standard in emergency communications. Learn how CivicReady and its integration with IPAWS can help you save lives during a local emergency. On Wednesday, October 3, at 2:18 p.m. EST, citizens across the nation were part of historic progress in emergency mass notifications. They were part of the Federal Emergency Management Agency’s (FEMA) inaugural test of the national Presidential Alert system. Like state-managed emergency alerts that allow local authorities to issue AMBER AlertsTM and severe weather alerts, this nationwide alert system was designed to notify individuals across the United States in the event of a national emergency. On October 3, when FEMA issued its first nationwide system test, it was received by all 225 million smart phones in the United States—about 75 percent of the population. The national Presidential Alert system is administered via FEMA’s Integrated Public Alert and Warning System (IPAWS), a mass communication platform that leverages all the nation’s emergency alert channels—such as NOAA weather radios, television broadcasts, and the wireless emergency alert (WEA) network—to issue targeted emergency news and instructions, without the need for a service subscription. FEMA created IPAWS expressly to alert the nation in the event of a widespread disaster; however, it was not until October 3 when it successfully tested its Presidential Alerting capabilities at the national level. More recently, the IPAWS system has been utilized at the state and local level to allow, for example, a city to notify its citizens of an oncoming tornado, or a county to issue a Silver Alert about a missing senior, or a town to issue a warning about an active shooter event. Now, with the proven successful capabilities of the national Presidential Alert system, if our nation is ever under a large scale attack, the President could notify the vast majority of the population using a highly targeted and proven effective communication system in just one effort, expediting the alert and maximizing its reach. It also means that IPAWS is well positioned to be the standard in emergency communications nationwide—and access to it is a necessity communities can no longer ignore. Why is IPAWS a Critical Component of a Mass Communication Strategy? 2017 saw some of the nation’s most severe local disasters in history, including hurricanes, wildfires, and active shooters. So far in 2018, the southeastern United States has been crippled by two hurricanes, including one, Hurricane Michael, that represents the first Category 4 storm on record to make landfall in the Florida Panhandle. The reality for public safety officials today—at every municipal level— is that it is not a matter of if a local emergency will impact your community, but when. 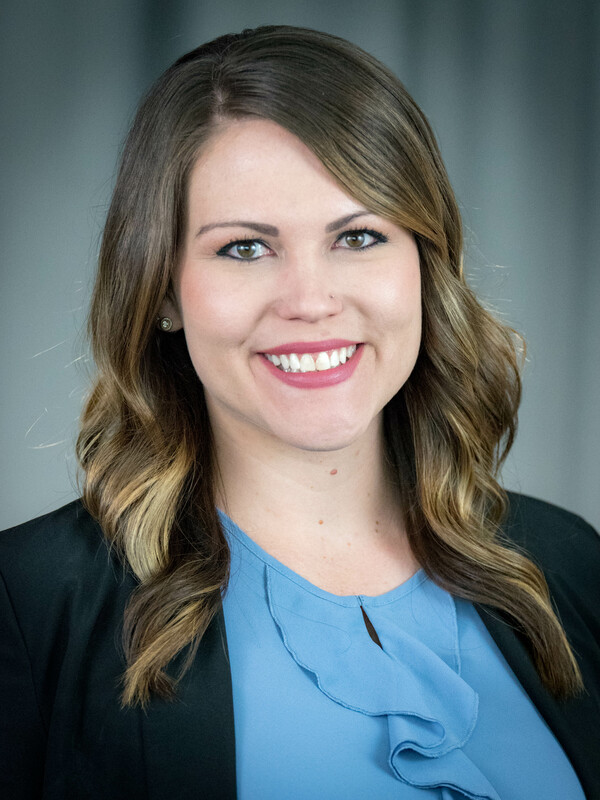 When an emergency event has the potential to impact your community, the most critical aspects of your communication strategy are speed and maximum citizen reach. IPAWS was created by FEMA to ensure both. What is IPAWS’ Current Utilization Among Municipalities? FEMA created IPAWS in 2012. In 2013 WEA alerting capabilities were added to the IPAWS network, strengthening its capabilities in a time of mobile device proliferation. Currently, interest and adoption of IPAWS among local entities is at an all time high, as communities across the nation feel the echoes of local tragedies such as record-breaking mass shootings and natural disasters rippling across the country. In the past six months, alerting authorities have grown by 30 percent, and twice as many are in the authorization process since then. Despite this rapid growth, and IPAWS’ proven worth as being one of the most impactful communication tools available to communicate safety instructions during natural disasters, active shooters, missing persons, and other local emergencies, only about 6 percent of local governments are currently authorized to leverage IPAWS, a total of 35,886 counties, municipalities, and townships. With the recent awareness for the effectiveness of mass notifications, thanks to the national Presidential Alert on October 3, public safety experts predict that adoption of IPAWS will finally reach the tipping point, establishing it as a standard in mass communication preparedness and response. When Can Public Safety Departments Issue an IPAWS Alert? The IPAWS network is not intended for routine or non-urgent notifications. It is strictly intended for the mass, multichannel dissemination of information and instructions when there is a threat to local lives. Possibly the greatest benefits that IPAWS offers in an emergency is its ability for an alerting authority to write a single message, review, test, approve, and send the message from a single desktop computer or mobile device and issue it within seconds to radio and television broadcasts, the WEA network, NOAA weather radios, and digital road signage. For entities that access IPAWS using a robust third-party mass notification software, the same message can also be issued to locally managed channels such as social media and local government websites, thus utilizing every possible channel to make citizens and travelers in the area aware of a threatening situation and help direct them out of harm’s way. What about the Risk of Unintentional Message Error? When citizens first learned they would individually be receiving a test alert on their mobile device from President Trump, many wondered if there were rules in place to restrict when the Federal Government can issue such alerts. Others worried about the risk of misinformation or message error, particularly after the State of Hawaii’s Emergency Management Agency mistakenly issued a missile warning to its citizens—and didn’t clarify that there was no imminent threat for 38 minutes. Under all circumstances—national and local—IPAWS alerts can only be issued in life threatening scenarios. When mistakes with emergency alerts have occurred, they have typically been due to inadequate training or unintuitive systems. Public safety experts point out that equally devastating risks can occur when local authorities choose not to leverage their access to the IPAWS system. In the state of California, when wildfires raged across Napa Valley in 2017, authorities feared the infrastructure complications that could occur during a mass exodus of hysteria and chose not to issue an alert. As a result, emergency personnel resorted to knocking on residents’ doors to issue evacuation warnings. How Can a Local Government Access IPAWS? For any a federal, state, local, tribal or territorial alerting authority to utilize IPAWS, it must be approved by FEMA as a Collaborative Operating Group (COG). A COG typically consists of emergency response entities such as state police, local fire departments, public universities, offices of emergency management, and other emergency response organizations and may be formed by a combination of multiple groups that aim to collaborate on communications and coordination in the event of an emergency. IPAWS must be accessed by a third-party vendor. In the memorandum of agreement (MOA) application required to initiate an IPAWS request, a local government must indicate what third-party vendor they are using to access IPAWS. In an era when the threats to local governments have never been more diverse and devastating, local governments must be prepared to issue mass notifications, warnings, and instructions using all available channels. Thanks to advancements in technology and third-party software, public safety officers can no longer doubt the effectiveness or need for IPAWS access, and all indications point to a not too distant future where IPAWS serves as the foundation for every community’s emergency communication strategy. For more information about IPAWS and to begin the process of applying for alerting capabilities, visit FEMA.gov. 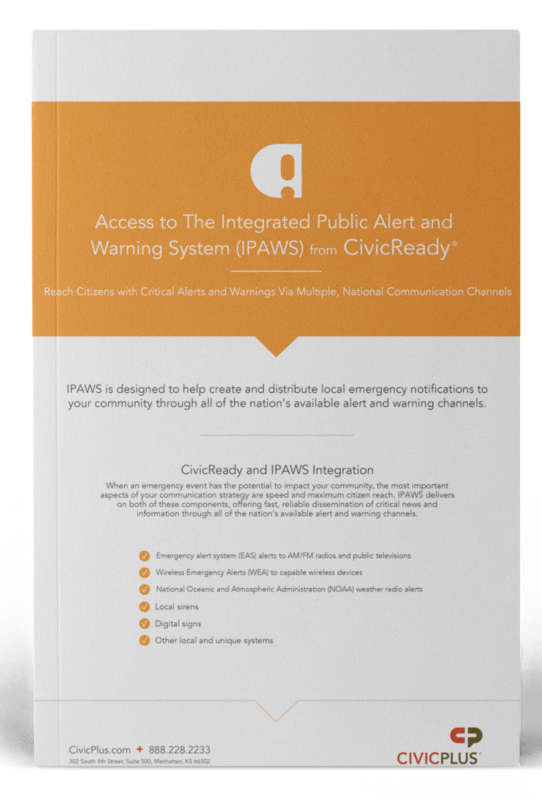 To learn how CivicReady can help you access IPAWS and keep citizens safe and informed during an emergency, click below to download our fact sheet.